Remember this house by d’apostrophe design? Here is more! I just love this punch of red from the vintage moroccan rug on the floor. My fav Living Divani sofa, the extra wall. 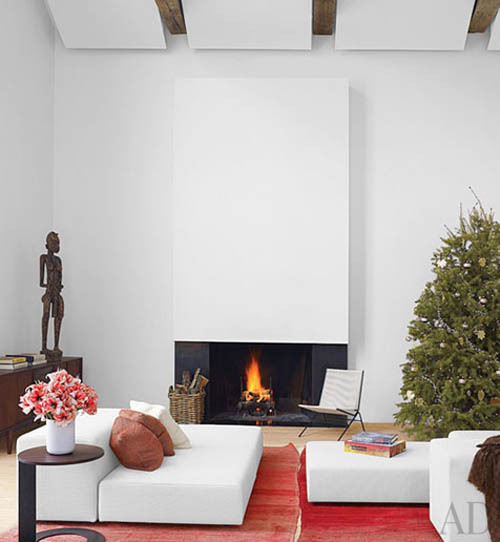 A minimalist fireplace after my own heart. The floating panels above conceal ductwork…brilliant. Dinesen wide-plank Douglas-fir floorboards. BDDW floor lamp. Chairs and matching side table are vintage Allan Gould. Amazingly cool speakers are by Proclaim Audioworks. Vintage Belgian chair. I could totally practice yoga here, you? I love everything about this. 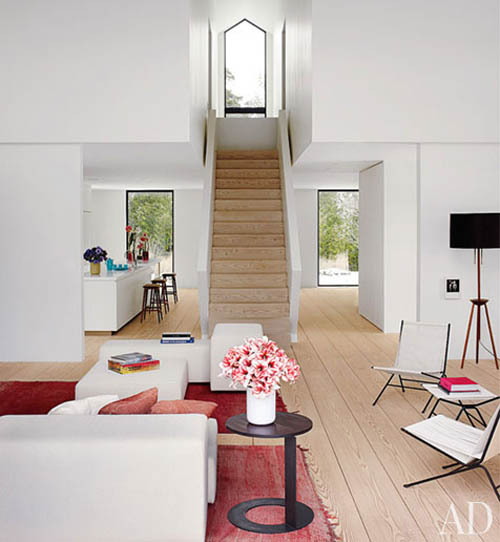 The white with neutral flooring and pops of red = fab! The first photo makes me want to cuddle and drink hot cocoa!!! 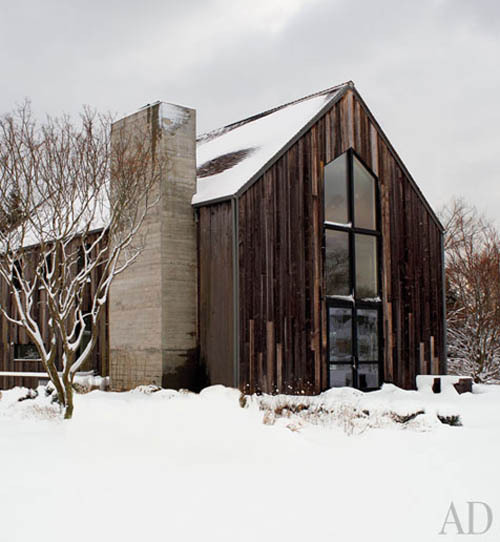 This barn is incredible! LOVE! I think if I see one more fireplace in blogosphere I’ll start crying my heart out! We live in a home with a non-functioning fireplace, one that has been closed with tiles! It breaks my heart. It’s charming. And the living room is so beautifully designed, love every element in there. Wow what a fabulous barn this is! I love the outside as much as the interior! 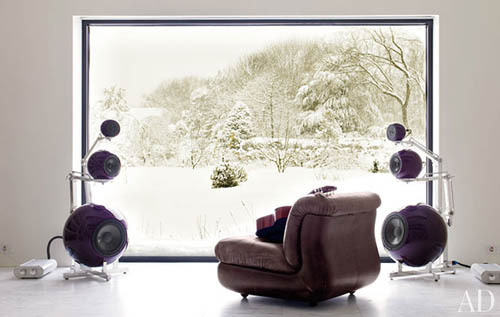 Oh my loving the fifth image, would love to sit there and just staring outside..and those speakers !!! fabulous! Those speakers are so cool and utterly sculptural I may actually like having them around! okay that’s it, i need to go pick up the latest of AD! This is a terrific interior, not overly done, but super rich and visually interesting.